1.123 accommodation - offers a quality “min-tutorial” on the different types of lodging and pricing available in London as well as other destinations. You can elect to make reservations at hundreds of hotels in London and the UK. 2. 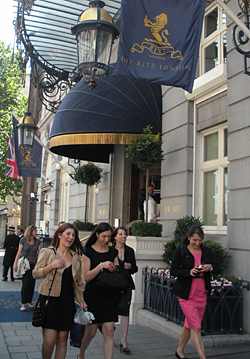 London lodging - wide range of lodging accommodations for short trips or long-term hotel stays in London. There is helpful travel information as well as booking options that is easy to use. 3. London's Best Hotels - exclusively focused on London hotels and some apartments. It provides information based on locations throughout the city and pricing. 4. London Nights - hotel booking site with descriptions of the districts, pricing and nature of the neighborhood attractions. It features lodging options from £40 to over £300 a night. 5. 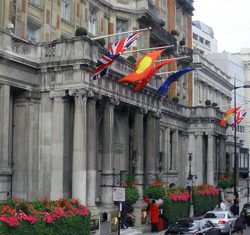 Hotels – London - over 600 hotels to choose from in all districts and price ranges. It also includes the newer category of luxury boutique hotels. These options can be expensive but unforgettably unique. 6. GuestHouses in London - comprehensive look at various lodging options, including the smaller hotels designated as guest houses. 7. Youth – Hostels - contains listings of 88 different youth hostels in districts all over London and the greater London area. Its directory makes it simple to plan an economical and pleasant trip in London, the UK or around Europe..
8. HotelMap- fun and informative tool to find lodging all over town . 9. Best Bed & Breakfast - provides excellent information and bookings for travelers. 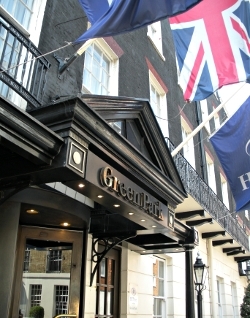 It's easy to view all the possibilities online with good links to bed & breakfast lodging throughout London and the UK. 10. Bed & Breakfast UK - directory that includes a travel guide for all of the UK. It's detailed but easy to use and has good maps of London and the UK.